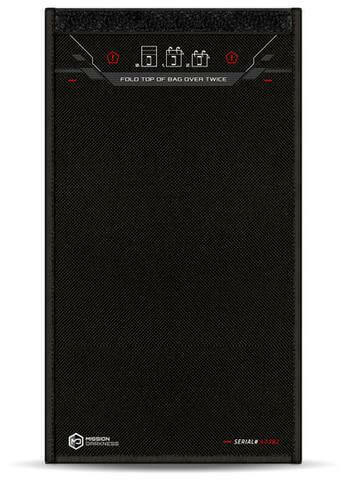 Mission Darkness Faraday Bags are the 5th generation of shielding for military & law enforcement forensic investigators. Constructed with dual paired seams and ultra-high RF shield faraday layers, MD bags are unmatched in their ability to block cell phone, Wifi, and other radio frequency signals. Mitigate remote data wiping and remote locating. Block hacking, block tracking & protect data. Used during evidence transport, travel, and in the lab as well. MD bags are not built for consumers. No other faraday bag allows agency customization like MD bags. Add a card or a permanent seal to brand each bag after purchasing, no need to rely on production methods. Every bag includes a serial number for asset tracking. 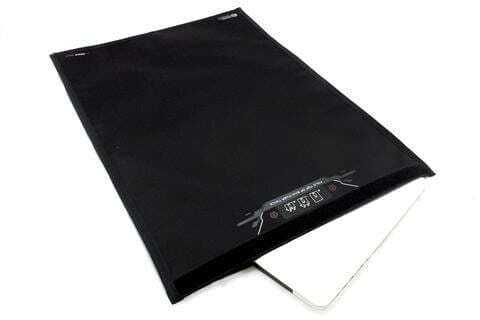 Window bags provide a means to preview signal cutoff and determine battery life. Blocks WiFi (2.4 & 5GHz), bluetooth, cell signals (even 4G LTE), GPS, RFID, and radio signals with 60-80dB average attenuation. The Mission Darkness X2 Duffel is the only faraday bag on the market with a detachable molle-based faraday front pocket. 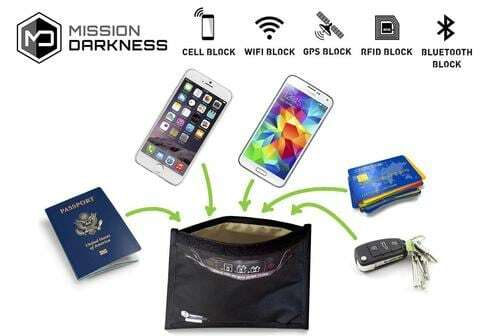 The system provides for versatility in shielding by allowing the user to open the main duffel cavity while not compromising the shielding of separate devices in the front pocket, or visa versa. 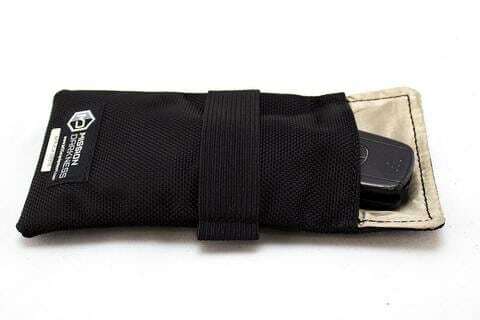 When separated, the front pocket can be attached to any molle pack, a feature designed particularly for military operators. Both the duffel and the pocket are built with two layers of 80dB faraday fabric, in dual paired seam construction. The high-quality, water resistant outer materials ensure the longevity of both bags and the devices they contain. Whether for executive travel or forensics, the double duffel will keep your devices safe and silent.